Is 44 days too fast to move a bankruptcy the size of General Motors (GM) through the courts system without missing something major? Apparently so, as Judge Robert Gerber, in the Southern District of New York (SDNY) Bankruptcy Court, is now having to revisit this case because of some potentially damaging issues involving the Canadian subsidiary of GM and alleged improper transfer of assets to hedge funds. I have previously reported on the GM bankruptcy and spoke with Judge Gerber about the Canadian lock-up funds in San Diego last year. Now, an American Thinker article by Clarice Feldman is taking a look at this case which she claimed, "turned American property law on its head to pay off the UAW." It now appears this GM bankruptcy may well be in danger of being overturned because of a potentially illegal transfer of funds from GM to the Canadian subsidiary in the form of a "lock-up agreement". Gerber claims to not have been aware of this lock-up agreement. I asked him about it at the NCBJ conference in San Diego in October. At first he started to say, "I am not aware..." but then he caught himself and said that he could not comment on a matter that would be appearing before his court the following week. The following week ended up being much later as Hurricane Sandy struck New York before the hearing date. The company is taking the possibility of a negative ruling from Gerber very seriously. GM attorneys filed court documents saying that the lawsuit "could create a chaotic situation for GM Canada, spawn new litigation in other forums, and potentially provide a windfall to the noteholders." The bankruptcy expert said if the two sides cannot come to an agreement on Thursday, Gerber could preside over one of the most historic rulings in bankruptcy court history. "This has tremendous implications for future of American business and bankruptcy precedent," he said. "It means more than just GM -- this is the rule of law and how creditors are treated in the United States legal system." "The judge has been careful to say that he doesn’t know if he would have rejected the sale altogether if he knew about the deal, which was disclosed in a U.S. Securities and Exchange Commission filing the same day GM sought Chapter 11 protection. But he said he might have added a provision that made it clear he wasn’t approving the transaction with the hedge funds." "The $367 million payment was divvied among several well-known hedge fund managers, including Fortress, David Tepper’s Appaloosa Management LP and Paul Singer’s Elliott Management. Appaloosa has since sold its bonds and is no longer involved." "... which was disclosed in a U.S. Securities and Exchange Commission filing the same day GM sought Chapter 11 protection"? So this was public record at the beginning of the GM bankruptcy case? How did Gerber miss this? Perhaps a rush to judgment to make the case in 44 days! The U.S. Treasury department, which was heavily involved in this entire process did not answer any questions put to it by Free Beacon in December. GM also refuses to comment on an on-going case. The entire GM Bankruptcy process was handled in 44 days. Yet, this small piece of the case, missed in the hasty judgment in 2009, has dragged on for over six months. I thought major corporate Chapter 11 bankruptcy cases were "melting ice cubes" that demand prompt attention, according to the experts I spoke with at the National Council of Bankruptcy Judges conference in San Diego. When I spoke with Judge Gerber at the American Bankruptcy Institute Winter Leadership Conference in Tuscon in December, he told me "My job is to get creditors paid and put people back to work." That is odd... I thought a judge's job was to fairly and consistently apply the law to the facts of a case. 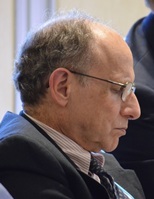 Perhaps Robert Gerber is more of a frustrated social worker than a judge? In this case, either Gerber had the wool pulled over his eyes by a scheming Obama Administration, or he was simply moving too fast to be able to do his job properly. Who's job was it to search the public records for other important filings related to this matter? 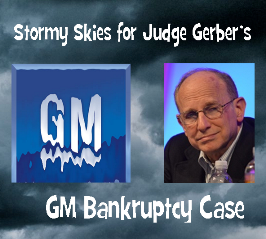 In any case, the GM bankruptcy is a mess and Judge Gerber now has an opportunity to do the right thing. In the next post in this series I will take a look at some of Gerber's other interesting Chapter 11 bankruptcy cases in the SDNY. American Airlines' bankruptcy is in the news this week. And there are troubling issues in the Chicago Tribune and LyondellBasell cases that could shake the very foundation of your stock investment strategy. We have to get a solution on our issues with the help of Waukesha Bankruptcy. We have to take care of what we are doing for our business. Control and monitor is the key towards the success of our business.